The 5 Series Touring has nearly every base covered. It’s engaging and relaxing to drive, luxurious inside and hugely spacious. Try to find a serious fault and you’ll really struggle. As a tow car, it’s swift and stable. The 188bhp 2.0-litre diesel engine in the 520d performs so strongly that there’s really little need to look at one of the more powerful and expensive models. And with BMW’s xDrive four-wheel drive system, the car doesn’t become unruly in bad weather. At motorway speeds, the 5 Series Touring feels unshakeable, and even our most aggressive emergency manoeuvres were shrugged off with ease. 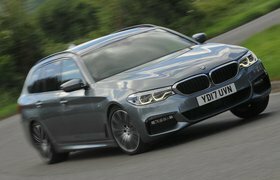 Our test car’s suspension was fitted with adaptive dampers (£985), and that’s money well spent in our book because it helps the 5 Series Touring to be sporty and dynamic one minute then serene and comfy the next. As an everyday estate, the 5 Series Touring is great to drive and very practical, with generous space for passengers and luggage. 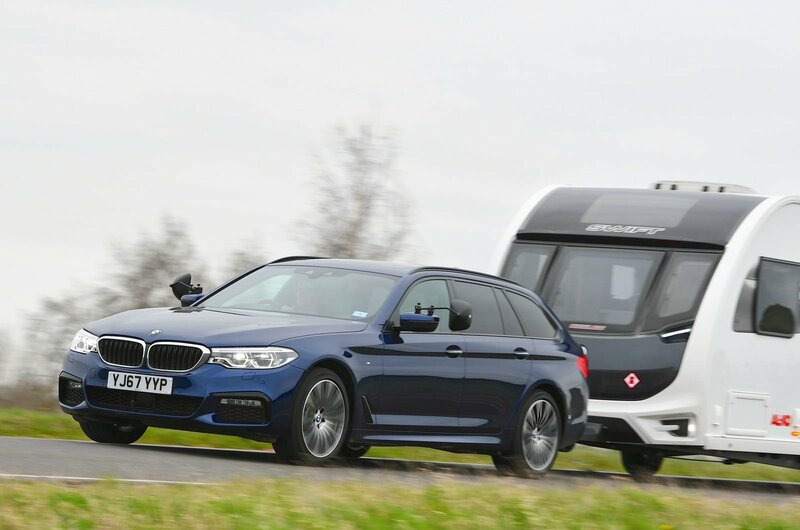 Tow Car Awards verdict: Brilliant, with or without a caravan behind it. The Discovery holds an almost perfect record in the Tow Car Awards, winning at least one award in 11 years out of 12. And despite some capable opposition from the Mercedes-Benz GLE Coupé and Range Rover Velar, the large SUV’s victory in the heaviest weight class never looked in serious doubt. It tows beautifully, feeling secure at speed and dismissing the emergency lane change test as if it were no test at all. The hill-start on a one-in-six slope was so straightforward that we tried the same manoeuvre on a one-in-three slope, yet the big Land Rover still coped with ease. It helps that its 3.0-litre engine has 443lb ft of torque. 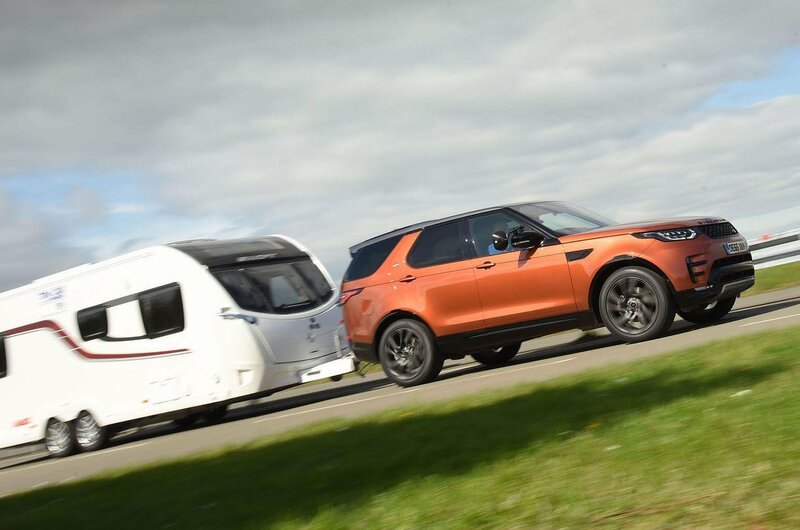 And our test car was one of the last Td6 models; if you order a six-cylinder diesel Discovery today, it will come with the uprated Sd6 engine, which has a whopping 516lb ft of pulling power, so it should tow heavy caravans and trailers with even greater ease. As an everyday car, the Discovery is refined and supremely comfortable, and its seven-seat interior is spacious and luxurious.